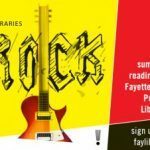 Note from the mamas: The Fayetteville Public Library, our What We’re Reading sponsor, will host its annual summer reading kick-off event on June 3rd. Drop in anytime between 10 a.m. and 1 p.m. This year’s kick-off will feature the Hugg & Hall Construction Zone with touchable machines, bounce houses, stilt walking, face painting, photo booth, balloons, a food court, hair streaking, temporary tattoos, a LEGO building station, a Friends of the Library books sale, and much more. Summer is a time for sprinkler-running, puddle-jumping, heffalump-hunting, treehouse-dwelling, and… reading, of course! Your child’s books this summer should be as fun and lighthearted as their days. Believe it or not, there are some Newberry Medal winners that fit the bill. The Newbery Medal is considered the most prestigious award for children’s literature in the United States. Many of the winning titles have also held time-honored slots in elementary school curriculum: The Giver, Bud, Not Buddy, and Sarah, Plain and Tall, to name a few. In addition to these educational mainstays, however, the medal has a less explored, more adventurous side. 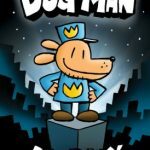 This Newberry winner is unique not only because it includes bits of comic strips and full-page illustrations, but because of its protagonist: A SUPERHERO POET SQUIRREL named Ulysses. 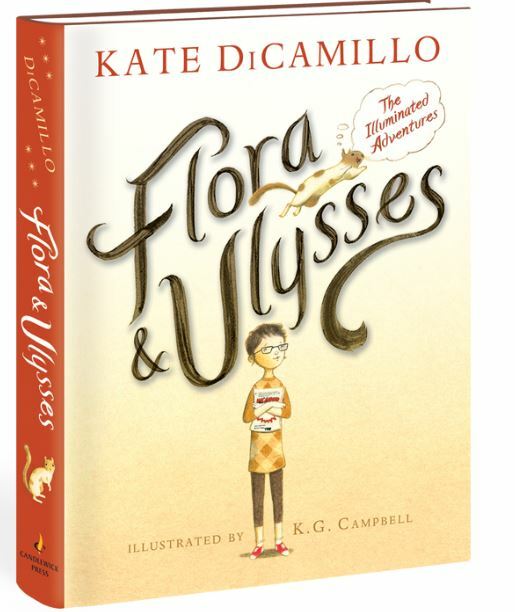 Ulysses and his human, Flora—a young, comic-loving cynic—find themselves in all sorts of squirrely situations as they try to prove Ulysses’ powers to the world. 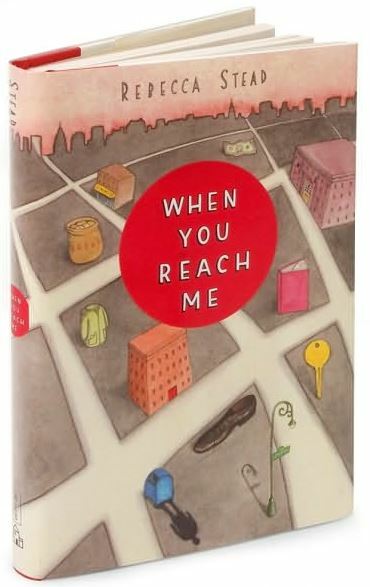 As is the case with all of DiCamillo’s work, the novel also beautifully and subtly navigates deeper themes that will resonate with a younger audience, including loneliness, hope, friendship, and zany parents. It is the summer of 1962 in Norvelt, Pennsylvania, and young Jack is grounded for the unforeseeable future. Talk about a bummer! As part of his sentencing, Jack must help his elderly, history-buff neighbor write obituaries for the local newspaper. I know what you’re thinking—this doesn’t sound like a fun, adventurous novel at all! Thankfully, the town is full of interesting characters and they’re dying faster than Jack and Miss Volker can write! 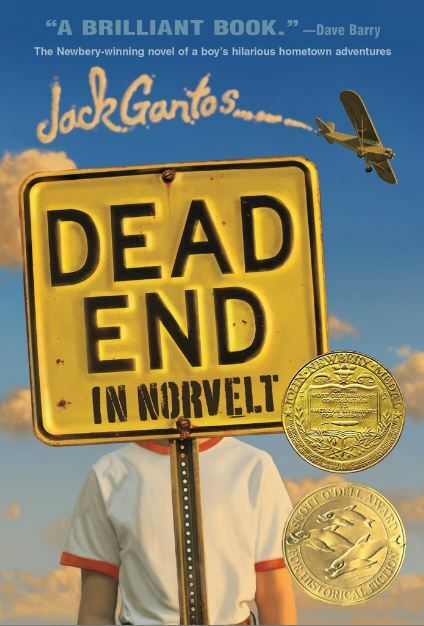 The most light-hearted murder mystery you’ll ever read, Dead End in Norvelt combines intriguing characters, laugh-out-loud humor, interesting history, lots of nose bleeds, and one big small-town adventure. Miranda’s best friend Sal hasn’t talked to her since he was punched in the stomach for no reason by a new kid in school. She can’t figure out why, and she also can’t figure out the mysterious notes she’s been receiving. They say things that no one could know, and things that haven’t happened yet, like ‘I am coming to save your friend’s life and my own’ and ‘You will want proof. 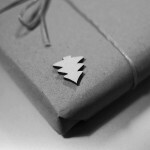 3 p.m. today: Colin’s knapsack.’ It’s all very mysterious and confusing. A review of the novel in the School Library Journal by Sharin Ozimy states, “I sell this to kids in the library by saying it’s a cross between Beverly Cleary and Lost. And I always say ‘the ending will BLOW YOUR MIND.’ Because it does.” If you’re looking for a page-turning head-scratcher, this strange sci-fi adventure is sure to satisfy. Kate began working at Fayetteville public Library in August of 2016 shelving recently returned books. 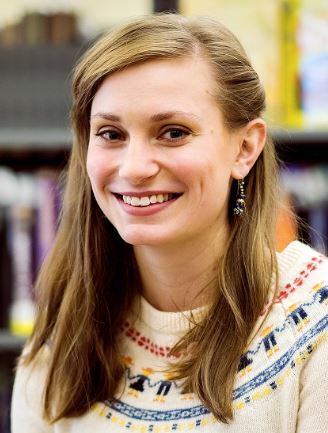 In January, she became an assistant youth librarian and also assists in volunteer and outreach services. Kate orders for the award-winners collection, assists with events and programs, and helps coordinate volunteer and outreach opportunities. She will be going back to school in the fall to receive her Master’s of Science in Information. 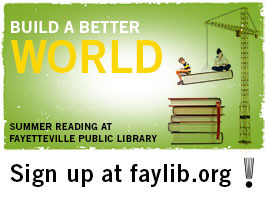 Event: Summer reading program to kick off at the Fayetteville Public Library! What We’re Reading: Read these True Lit Festival-worthy books before the event!